Dark, nut-brown color. Buttery, medium-bodied with a smooth, amusing, medium-length finish evoking accents of candied spice and vanilla, with an unusually conditioned, lingering wood finish. Smooth entry with palate of crème brûlée and subtly muted oak. A decadently sweet, buttery, and attractive aged rum that will be perfect for late-night sips and adding flavor to your favorite ice cream. In the last several decades the spiced and dark rum segment has seen dramatic changes and a significant premiumization of the category. In fact, more rum distilleries have opened in the United States in the past six years than the rest of the world combined. With more than 230 rum distilleries now operating across the U.S., the vast majority of Americans can easily find locally distilled rum. Florida alone has more than 20 rum distillers. Case in point is Citrus Distillers in Jacksonville, Florida where Really Bad Rum hails from. Producers like Doc Brown aren’t just the people putting American rum on the map right now – they’re the ones influencing what it will become for the next generation. With ever an eye for an opportunity, this ‘Doc’ aims to fulfill the needs of those seeking an unusually decadent dose of rum. The bold flavor of the Caribbean comes to life in Doc Brown Really Bad Dark Rum – a rich blend of 3-year old Florida rum. Voted 2018 Rum of the Year by Beverage Trade Network’s USA Spirits Ratings competition, Really Bad Dark Rum is a column still rum distilled in Florida at Citrus Distillers with Dustin Skartved. The blend itself features an exceptional likeness to a five-year old Barbados rum with oaky notes, matured in new American oak barrels (featuring the famous char #3) to impart a buttered caramel flavor. The spirit sips like a fine blended whisky, with hints of sweet oak and earthy funk and is also tipped by Robert Burr, founder of Miami’s Rum Renaissance Festival, as one of the tastiest new rums out there. 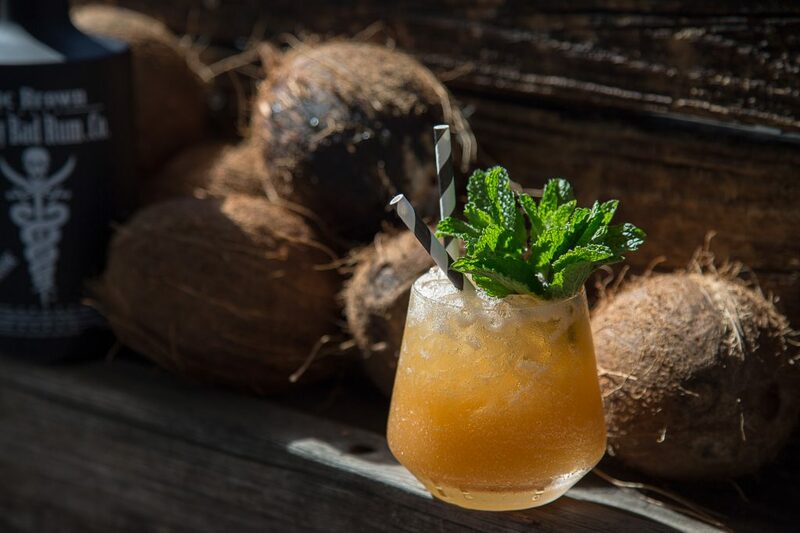 Doc’s rums have made their way into quite a few locations throughout Palm Beach county, such as The Blue in Boca, Lynora’s, and Brandon’s located inside the swanky Tideline Ocean Resort & Spa. A regularly listed product in Total Wine liquor stores statewide in Florida, Massachusetts, Rhode Island, Iowa, and Texas, amazingly, in just two and a half years. All of Doc Brown Really Bad Rums are distilled, aged, and bottled by Citrus Distillers before being shipped. Brown, 53, a Massachusetts native, studied audio engineering at NYU and worked at Radio Disney as a national studio operations manager for 20 plus years helping grow the company’s radio segment into the international brand it is today. During this time, he flirted with the idea of starting a rum cake brand. Doc soon realized the niche for American rum and rum cake and began to create a rum formula to be used in his cake. Ultimately, working with Dustin and Niki Skartved of Citrus Distillers, they created the formulas for three American-made ‘Really Bad’ rums. 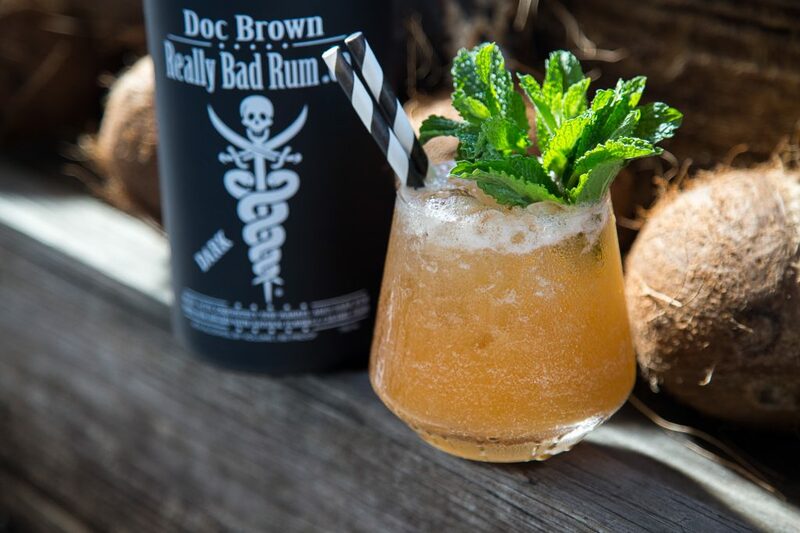 The Doc Brown Really Bad Rum Co. portfolio includes: Doc Brown Really Bad Dark, Spiced and Silver rums and pays tribute to the heritage of the Caribbean islands with their bold, distinctive flavors. 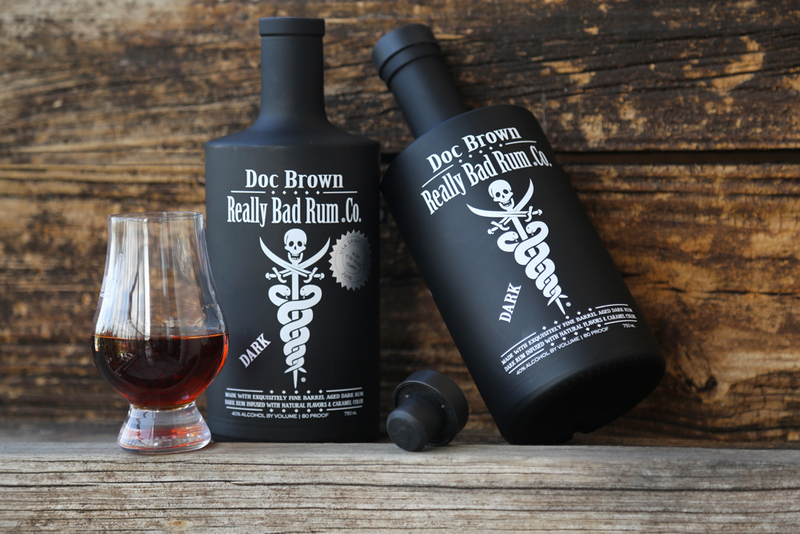 Doc Brown Really Bad Dark Rum has a nose of buttery oak, subtle vanilla, and caramel immediately hitting on the palate. Much sweeter than it is bitter, there’s an unusual, almost medicinal-like quality coming up in short order. As the finish evolves there are sharp notes of baking spices but what hangs around on the end is a clear note of fresh-baked crème brûlée. We’re the most excited about our Really Bad Dark Rum, which ages for three years in American oak, so the quantity has been limited, yet with another shipment of barrels, we’ll have plenty on hand shortly. Designed as a premium rum to be sipped straight or enjoyed on the rocks, Really Bad Dark Rum works well in cocktails that are complimented by a rich, full-bodied rum with warming notes of vanilla, oak, and buttery caramel. This rum really reminded us of the Diplomático Reserva Exclusiva, although less aged, but with similar sweet notes and a buttery smooth, spicy finish that makes it a great sipper in the $29 range. 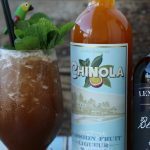 Doc suggests Really Bad Dark Rum is a great rum for creating tropical punch recipes to be enjoyed at social gatherings and boat parties during the summer as well as a warmer in the cold winter months. A well-designed, jet black bottle compliments the fine taste of the Really Bad Dark Rum blend, with an evocative label design inspired by the legend of Doc Brown, a whimsical pirate from the days of yore. Method: Flash-blend with 1 cup of crushed ice for 3-5 seconds. Pour unstrained into an Old Fashioned glass. Add additional ice if needed. Garnish with multiple fresh mint sprigs. NOTE: Since this is a smaller format cocktail, we recommend you double the quantities in order to fill a standard-sized Old Fashioned glass. *Any decent agave syrup will do, however, for sheer richness and authenticity use only REA’L Agave. Just what the doctor prescribed! The interactive elements of the lemon-agave combo help balance the tartness of the passion fruit with the rich, exceptional flavor profile of Doc’s exquisitely smooth rum giving it a rather sophisticated, spicy side. In this instance, the herbal edge of the rum gives a nice complexity and finish that pairs perfectly with the bittersweet elements of the orange curaçao. Light and refreshing, Alternative Medicine is specially recommended for those in need of a quick shot of tropical adrenaline. At 40% ABV, Really Bad Dark Rum launched exclusively in Florida in April, 2016 and has a distribution footprint spanning five states (Florida, Massachusetts, Rhode Island, Iowa, and Texas) and counting.